Uninspiring ridge top with great views. 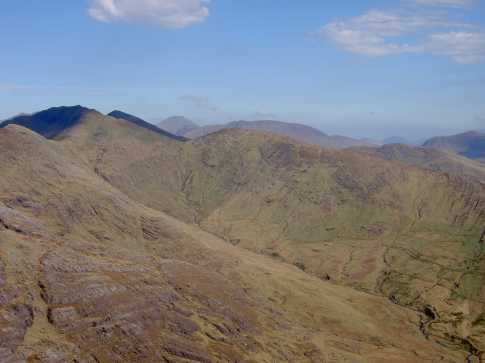 Beann is often done as part of the Mullaghanattin Horseshoe - see comments for An Cnoc Riabach and Mullaghanattin etc for access. 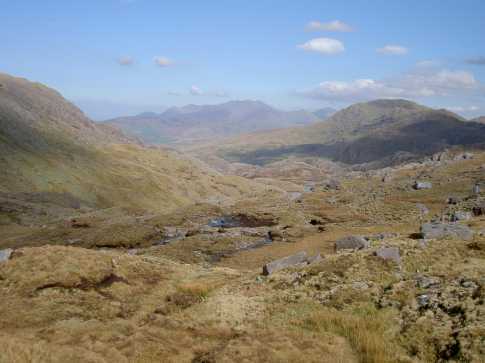 Approaching from Beann NE, the ascent from the col is about 90M, and not excessively steep. 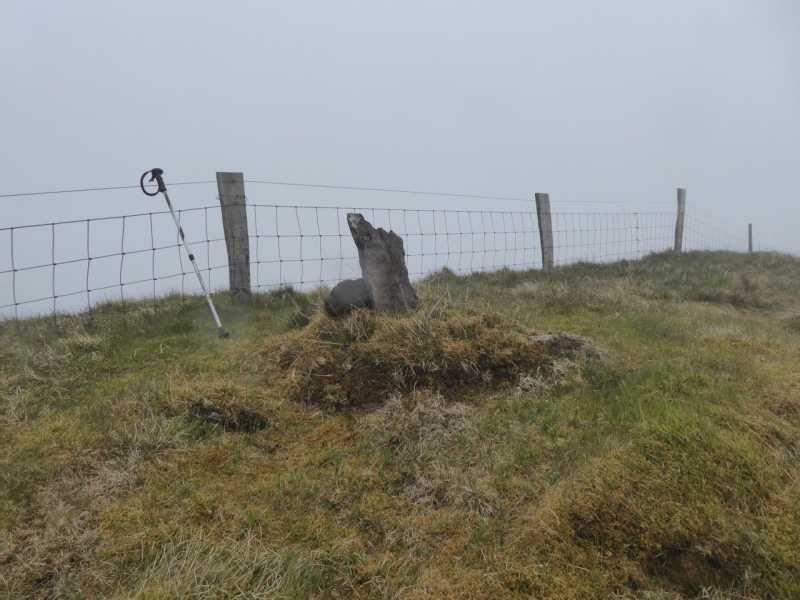 The summit is quite unremarkable - a fence running across it, a clump slightly elevated grass topped by a couple of rocks. 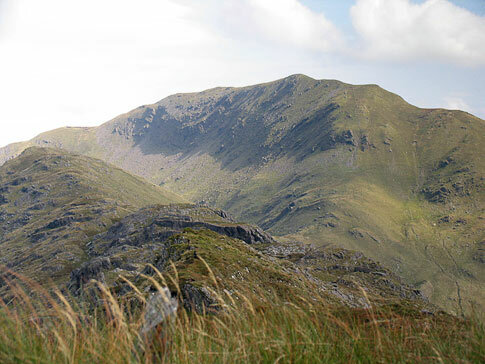 Beann is at a meeting point of three ridges. One leads towards Mullaghanattin, another south to one end of the Mullaghanattin circuit and then thirdly south west towards An Corrán (Finnararagh). 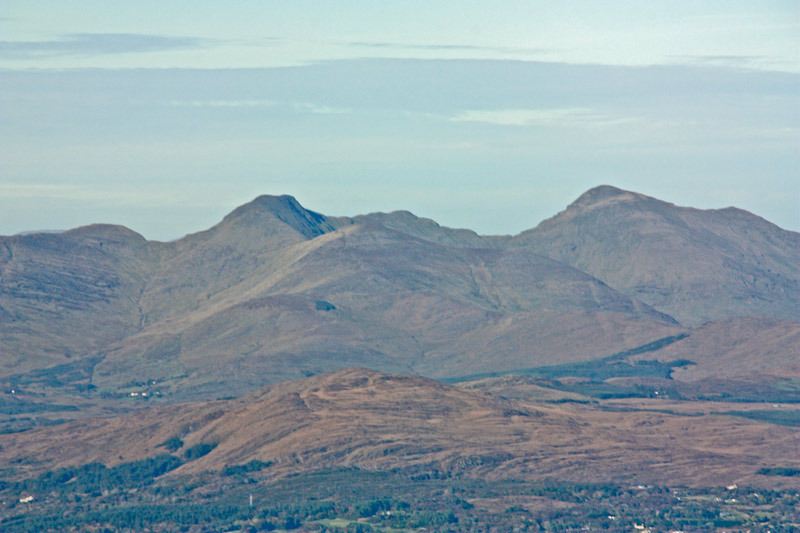 This is a Janus mountain, looking two ways, because although not quite a high as Mullaghanattin, it has good views of the Reeks and good views of the summits SW Dunkerrons towards Coomcallee above Waterville. Different guidebooks have different spellings such as Beoun and Beounn. 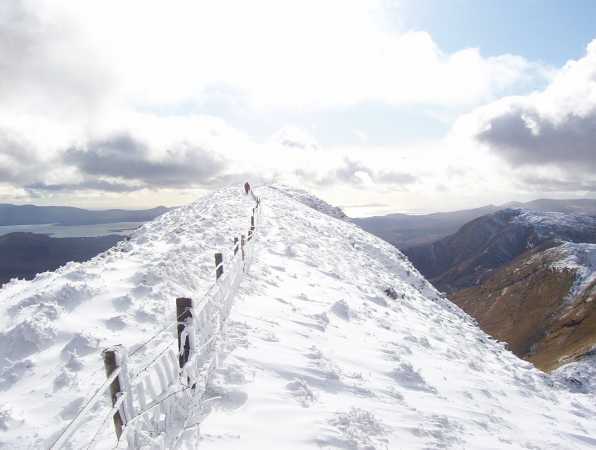 Usually you would reach this summit as part of the Mullaghnattin circuit, but it could also be reached from the Ballaghbeama gap or from the SE corner of Cloon Lough. The actual summit is unremarkable, being a grassy ridge with a fence.